I had some trouble getting my Birchbox for May, because of my mail not forwarding correctly when I moved. But I finally received it yesterday. 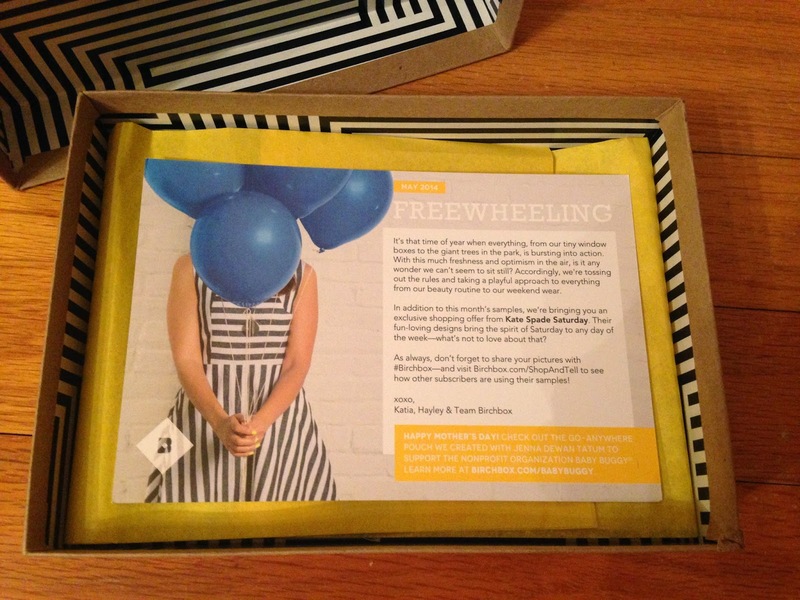 The theme for May was Freewheeling, with a playful approach to everything from beauty routine to weekend wear. This month everyone also received an exclusive shopping offer from Kate Spade Saturday. 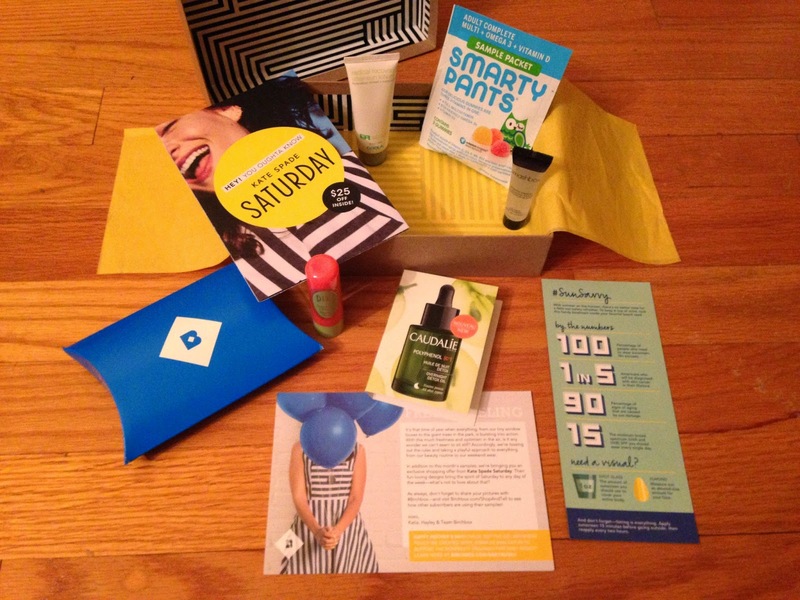 Birchbox always includes an information card with everything included in the box. Here's what I received this month. 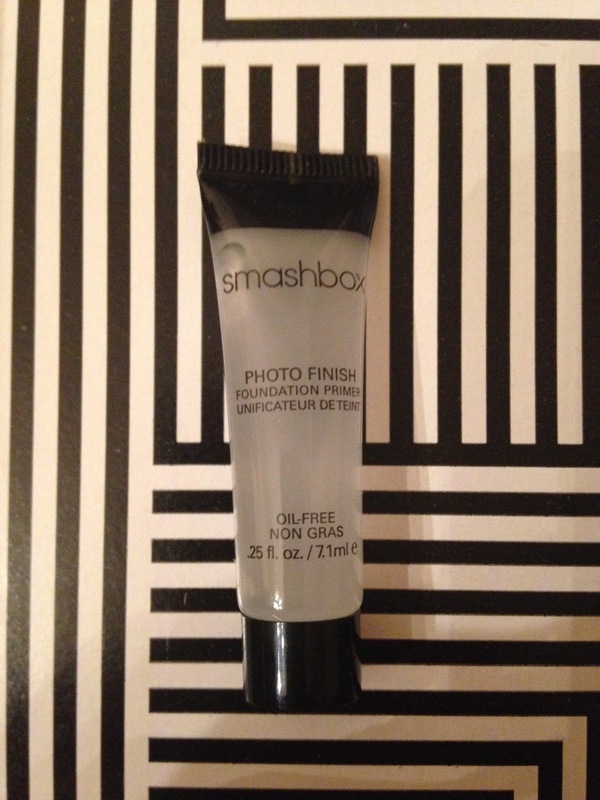 One sample I received was Smashbox Cosmetics Photo Finish Foundation Primer. This was very smooth and soft on my skin. I don't wear foundation often, but this works great for when I do. It didn't feel heavy on my face, which I really liked. 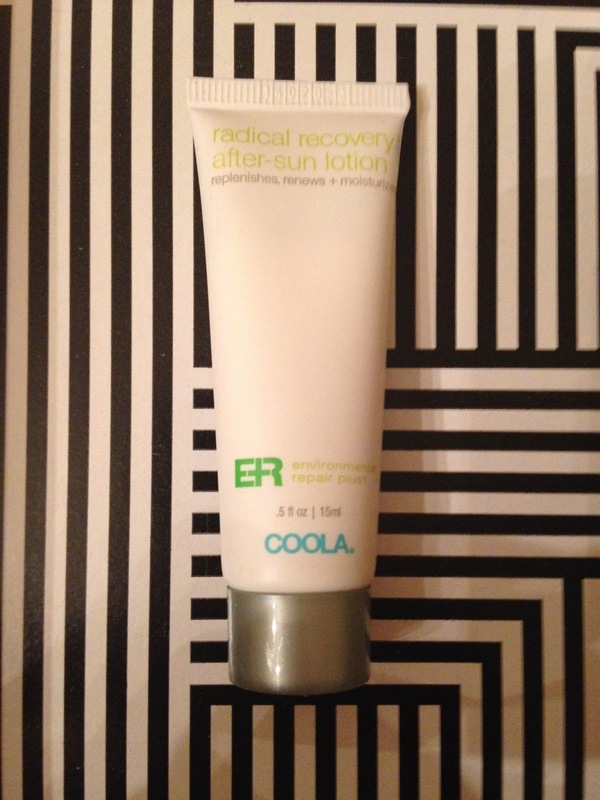 I also received COOLA Environmental Repair Plus Radical Recovery After Sun Lotion. I love COOLA products, so I knew I wanted to try this. It was very nice and moisturizing and smelled like lavender. I really like this and may have to buy more. I didn't have a sunburn to try it on to see if it worked for relief, but it felt very soothing on my skin. 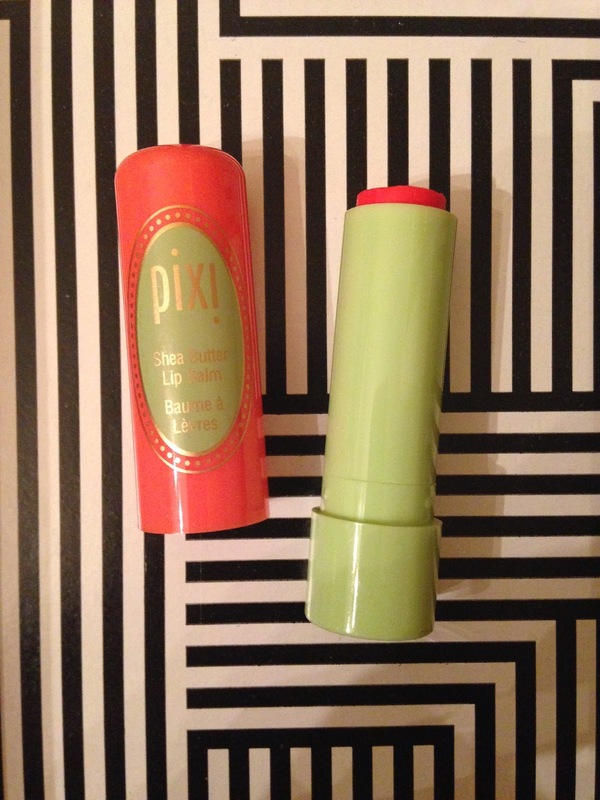 Another sample included was PIXI Shea Butter Lip Balm in Coral Crush. This looked very bright in the tube and I thought I would hate it on, but it went on very sheer and looked great. It was moisturizing and made my lips soft. Plus I love the packaging on this. It might have to go into my bag! 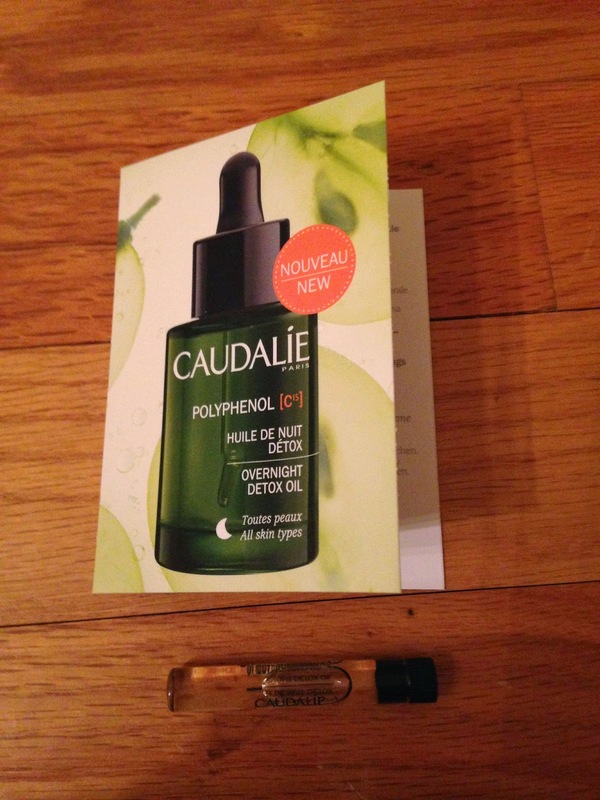 I also received Caudalie Polyphenol C15 Overnight Detox Oil. I was excited to try this oil. It felt nice on my skin, not heavy or greasy at all. It sank right in and felt smooth. The sample size is quite small (like the size of a perfume sample vial), but I should get a couple uses out of it to see what I think. 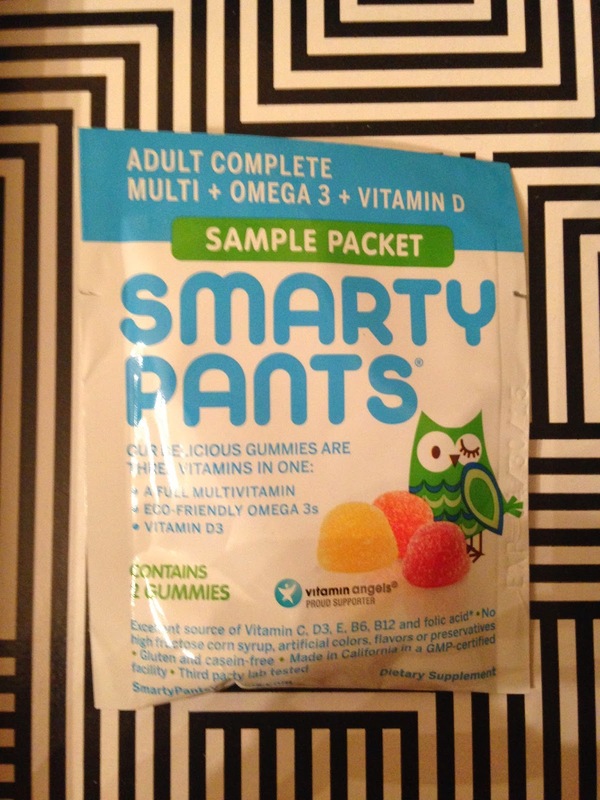 The final Lifestyle Extra product I received was SmartyPants All in One Gummy Vitamins for Adults. These tasted good and are much easier to take than the large vitamins you have to swallow. I was a little disappointed the sample only had 1/3 the normal serving size (sample size 2, serving size 6). Plus these are very expensive, so I probably won't purchase them. 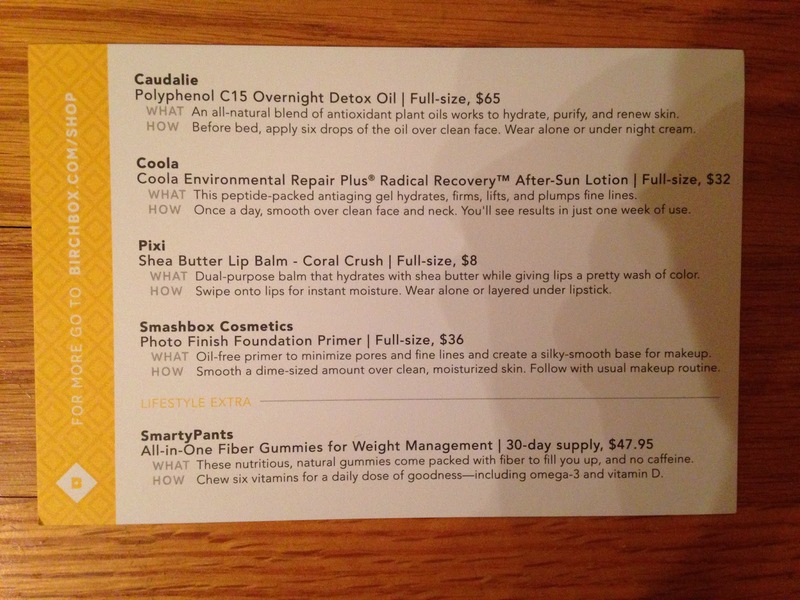 A 30 day supply costs $47.95 from Birchbox. I was happy with all the samples I received in my May Birchbox! I was pleasantly surprised by the Pixi Lip Balm, as I thought the color I received would be awful on me, but it wasn't. The spoilers are already out for June, since the boxes should start shipping next week. Can't wait to see what I get! I really wish I would get that pixi lip balm, looks pretty. 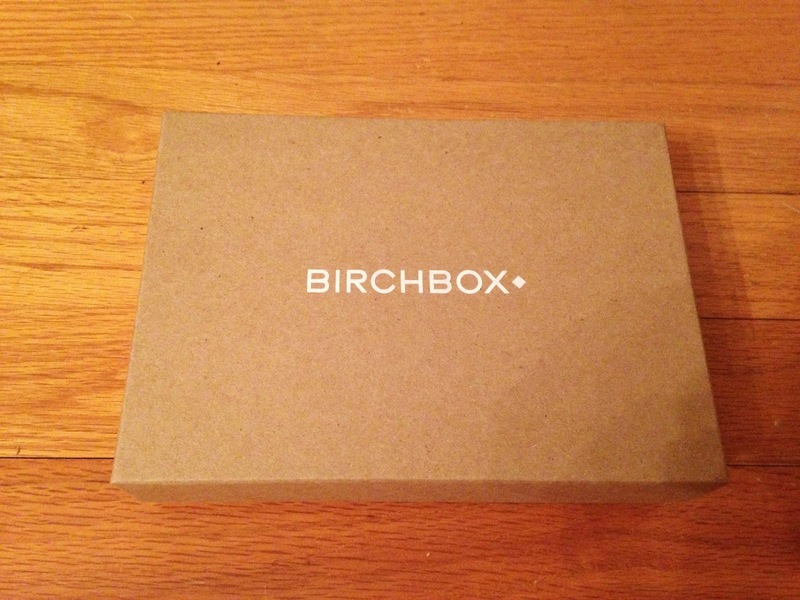 Glad you liked your birchbox this month, I really liked mine as well!